Shorter version of The Scorpion. 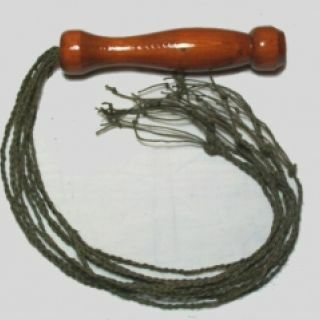 Made from 20 strands of fine leather thonging up to 13" long. 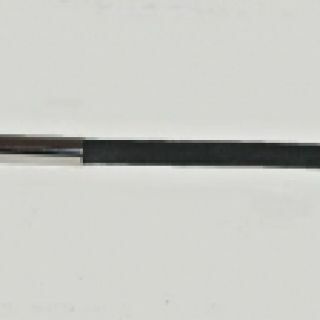 Strand lengths are uneven to vary the effect of the fall. 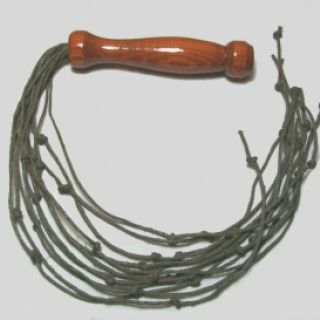 20 strands of fine leather thonging up to 23" long. Each strand is cut a different length to spread the sting from this scorpion’s tails. Brings out the first gasps even from the stoic and the silent. 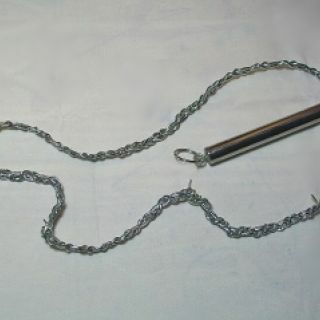 This cruel cat is made from luscious dark havana brown leather thonging and brass effect ball chain. Approx. 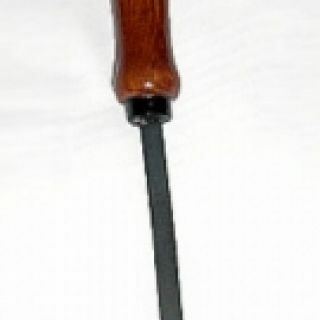 22" of tail set in a wooden handle. 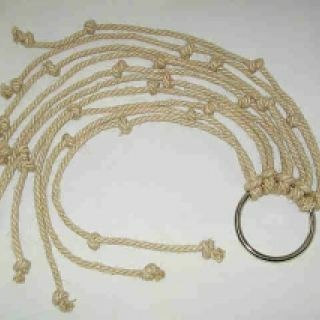 Strands of elasticated cord tipped with an ornate metal tip. The metal is a light alloy that is lead and nickel free. 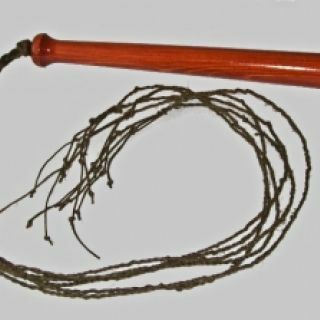 The ten 24” strands are set in a 16” long spindle style wooden handle. Slim and pretty. 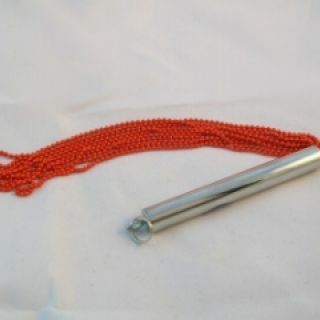 Made from fine red metallic coated ball chain in a stainless steel handle. 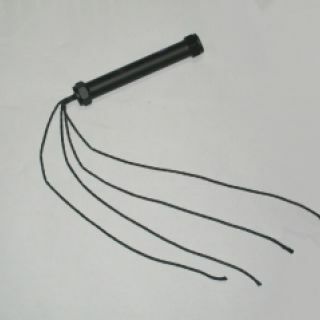 Ideal for hot or cold play, impact or electro play. 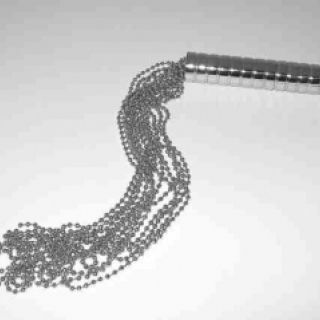 Overall length: 12"
Strands of chrome plated ball chain in a chunky stainless steel handle. 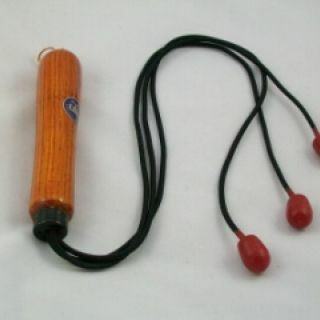 Ideal for hot or cold play, impact or electro play.